Being an onsen (hot spring) fanatic, I always add an onsen town to my itinerary every time I visit Japan, regardless of the season. I enjoy exploring what each onsen town has to offer, learn about their differences and list down those I like most. I will not be going into too much detail about the onsen quality, since most of us will only be there for a day or two, so there wouldn't be much health benefits. 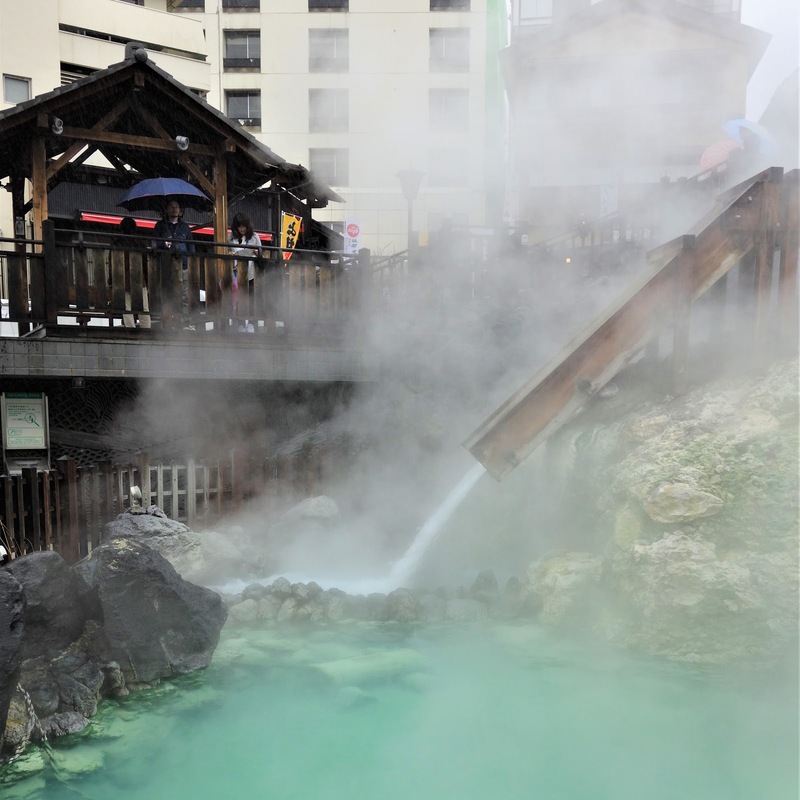 Kusatsu is arguably the most famous hot spring town in Gunma prefecture 群馬県 (northwest of Tokyo), often topping nationwide onsen rankings. It has the largest flow of hot spring water in Japan, and the quality of the water is also known to be good. 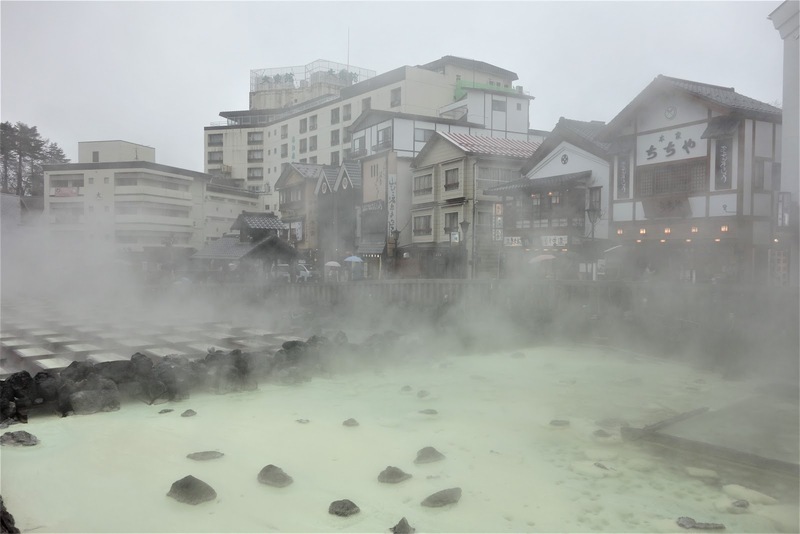 Kusatsu has the vibe of a traditional hot spring town, with shops surrounding Yubatake（湯畑）, one of the town's main sources of hot spring water, also the symbol of Kusatsu. It is common for visitors to walk around the town in yukata (summer kimono provided by the Japanese inn) and enjoy soaking in the public baths. 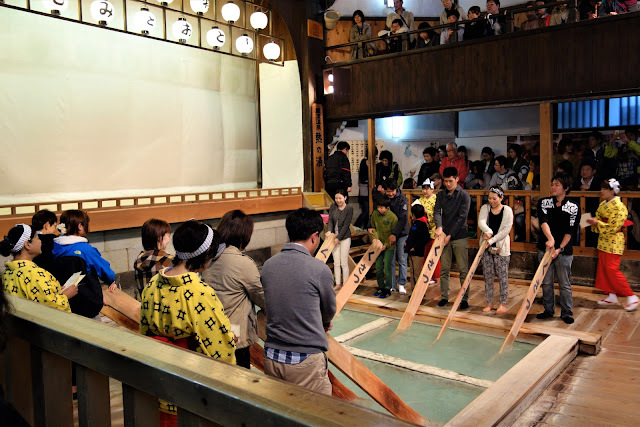 Visitors can also go to Netsunoyu Bath House to watch Yumomi performances, a traditional way of cooling down hot spring water by using long wooden paddles, and even try it themselves! 1D1N is sufficient for Kusatsu as it is a rather small onsen town. Book a night's stay in one of the Japanese inns there, then move on to Karuizawa（軽井沢）by bus, where there are plenty of things to do such as outlet mall shopping, art museum and cafe-hopping. Nature lovers can also check out separately Mount Shirane's（白根山）baby blue Yugama crater lake by bus from Kusatsu bus terminal. From Karuizawa, there is direct Shinkansen train back to Tokyo in 2 hours. Many of the JR East passes cover the train journeys above, some inclusive of Karuizawa. Other hot springs in the region include Manza（万座温泉）, Shima（四万温泉）, Ikaho（伊香保温泉）and Minakami（水上温泉）. On their east, and also to the north of Tokyo, is Kinugawa Onsen in Tochigi prefecture（栃木県）. 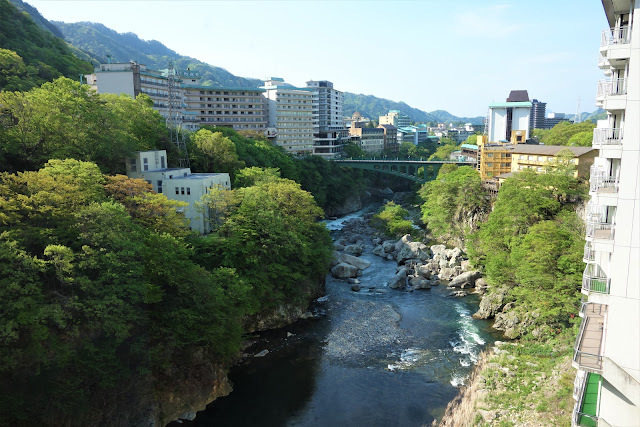 This onsen town did not leave a deep impression on me, but for visitors to Nikko（日光）who want to experience onsen in the same trip, it is a highly convenient option. Sightseeing places include Nikko Edomura (theme park about feudal Japan), Tobu World Square (world landmarks in mini size) and Grand Maze (large-scale maze). There are also more remote hot springs such as Okukinu Onsen（奥鬼怒温泉）for those who prefer to go off the beaten path. 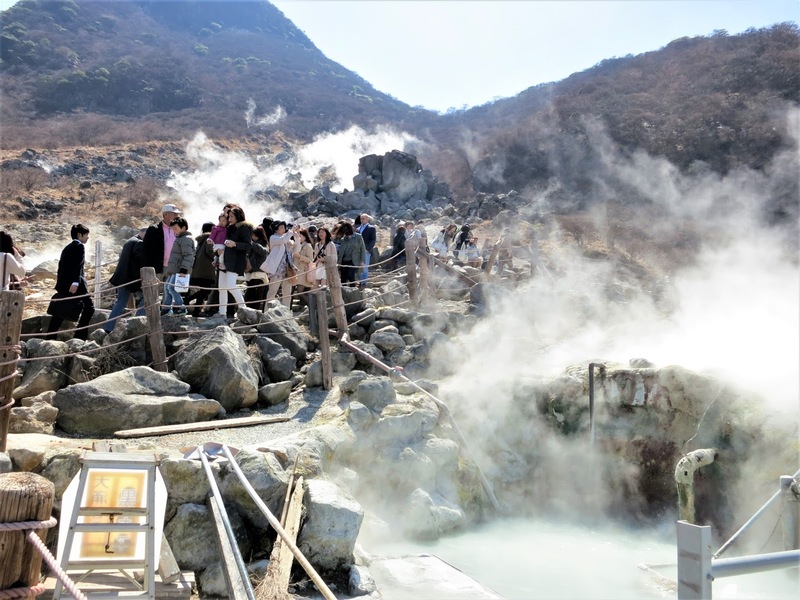 Kinugawa Onsen can be a one-night stopover after visiting Nikko (known for its grand temples and shrines), or 1N1D inclusive of the attractions listed above. 1. Tobu Railways' Rapid train from Tobu Asakusa station to Kinugawa Onsen station (140 minutes) Note that the train decouples and go separate ways at Shimo-Imaichi station, so make sure to be in the correct car. Options 1 & 2 are covered by some Tobu Railway passes. Most JR East passes cover the whole journey for Option 3, but not the Japan Rail Pass (nationwide pass) as part of the tracks are owned by Tobu Railways. There are also several onsen options to the west of Tokyo. The nearest would be Hakone Onsen in Kanagawa prefecture（神奈川県）. 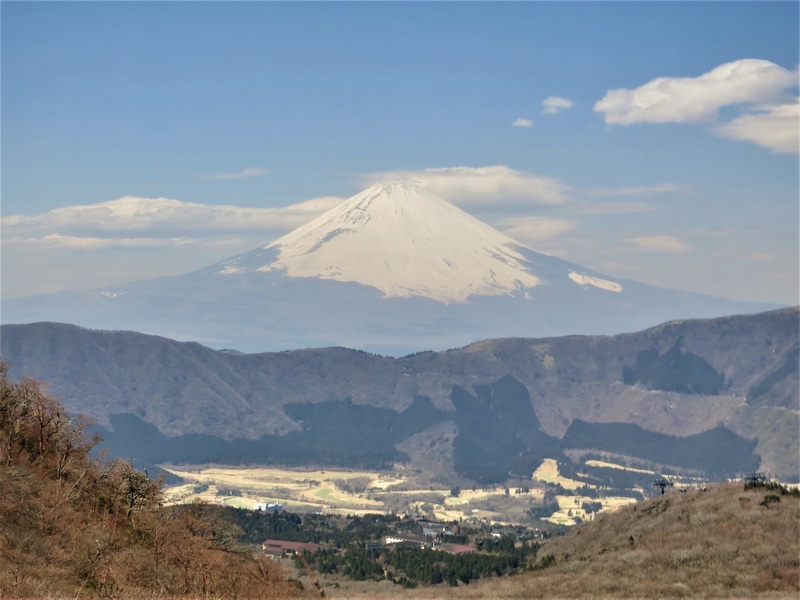 There are MANY activities to do in Hakone, and much effort for planning is necessary, as the attractions are accessed by different modes of transportation, such as ropeway, bus, train and ship. I do not think it is possible/necessary to cover everything in one trip. Day onsen packages are available but visitors to Hakone should at least stay a night there. 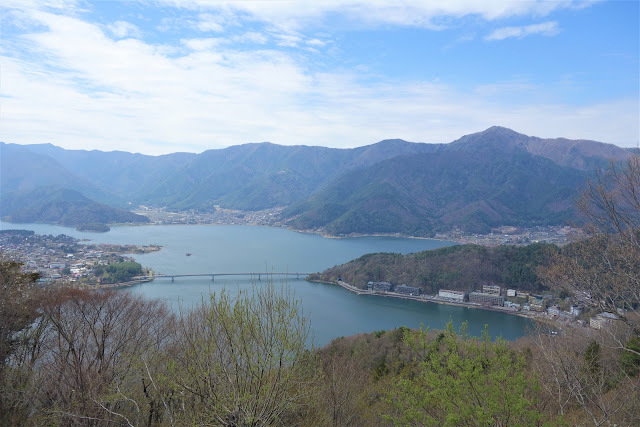 Purchasing the 2D or 3D Hakone Free Pass by Odakyu Railway which covers the different modes of transportation in Hakone is advisable for Option 1. There is also a cheaper version of the pass for visitors who opt for Option 2, starting and ending the trip at Odawara station. Further west, there is Kawaguchiko (Yamanashi prefecture) and Atami (Shizuoka prefecture). The former is at the north of Mount Fuji while the latter is at the south. Kawaguchiko, the most developed/accessible of Fuji Five Lakes, is not exactly a hot spring town, but it has many Japanese inns with onsen facilities. 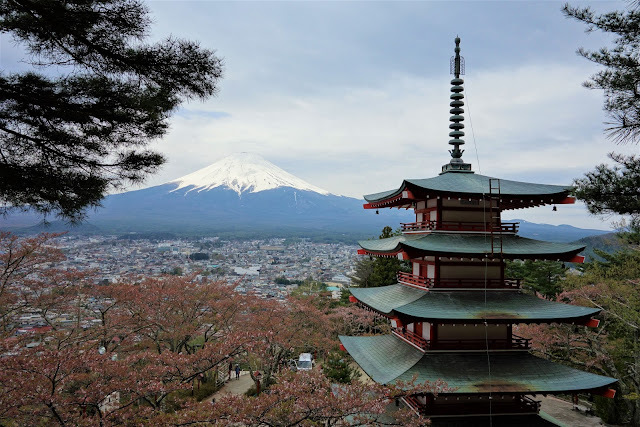 Spring would be a good time to come here because there are several places to appreciate cherry blossoms + Mount Fuji up close (depending on weather) + lake view together. The area is also packed with attractions. 2D1N is feasible, but for visitors who want to cover the area more comprehensively, especially those combining attractions around nearby Lake Saiko（西湖）, 3D2N is highly recommended. *Accessible by Retro (loop) buses that run from Kawaguchiko station. 2-day pass (unlimited rides) is available. There are also several special passes available depending on place of interest, such as Fuji Hakone Pass which also covers Hakone, Fujigoko Enjoy Ticket which combines round-trip bus from Tokyo and retro buses, Fuji Q Highland Plans for those who intent to go to the amusement park and Fujisan Fujigoko Passport which provides unlimited rides on retro buses and Fujikko bus that connects Lake Yamanakako. Atami, often listed on nationwide onsen rankings, is a seaside resort town with many hotels/Japanese inns with onsen facilities. It does not offer many activities to do (art museum, Atami castle museum, old shopping arcades). 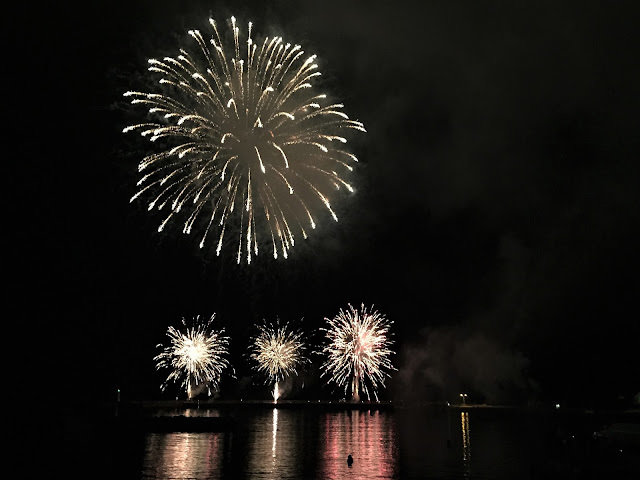 However, many onsen facilities here provide panoramic views of the sea, and on one day a month (more days in summer), fireworks shows lasting for approximately 30 minutes are held. During such weekends, there is a need to book accommodations early due to limited lodgings in the area (especially for those on a budget). In the case that you are too late, fret not, many hotels/Japanese inns provide day packages for their onsen facilities. 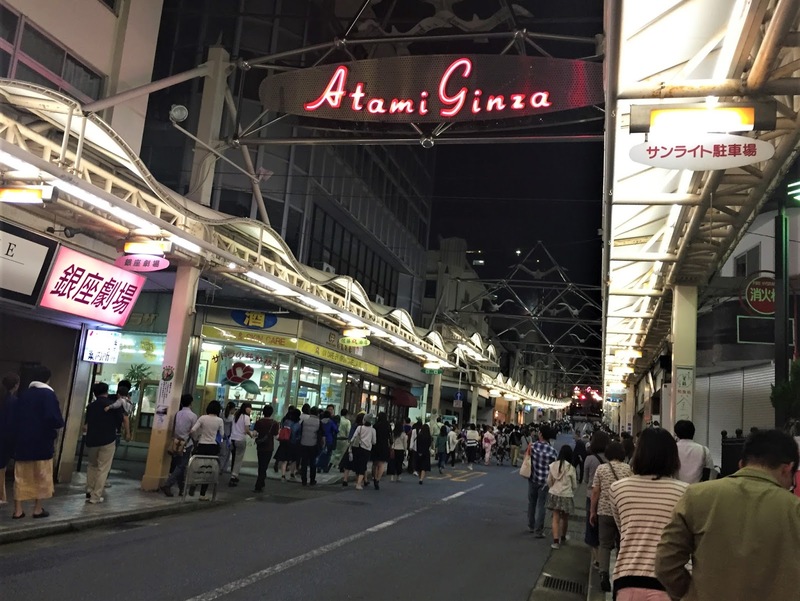 Enjoy sightseeing and onsen in the day, fireworks at around 8+ pm, then head back to Tokyo or stay in a nearby city in the same prefecture such as Numazu and Shimizu. JR East passes only cover Option 2 but not Option 1. For visitors without Japan Rail Pass (nationwide pass) and still want to go by Option 1, purchasing tickets from discount ticket shops will provide around 10-20% savings. Third post of this series on Popular Hot Spring Towns Near Fukuoka.